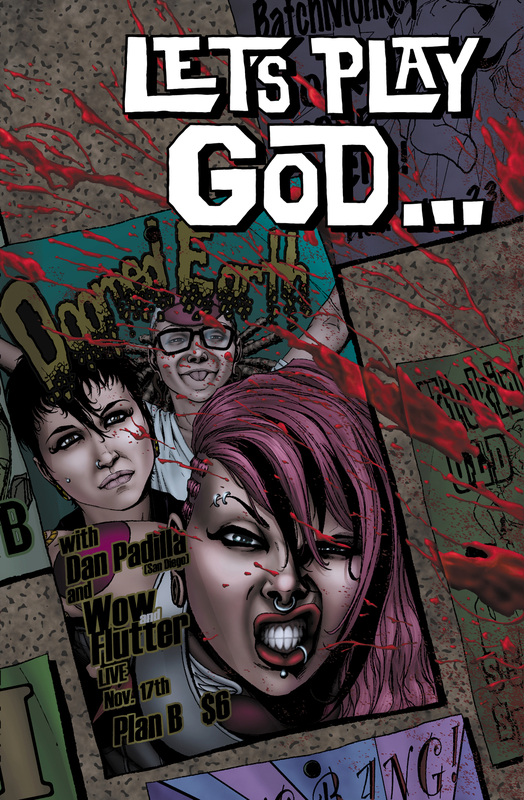 The Fellowship was fortunate enough to obtain a copy of LET’S PLAY GOD… #1 from IDW Publishing. Brea and Zane Grant write, and EricJ draws. Mel, Kira and Billy have a band. They also appear to have a problem when Mel witnesses a murder. After getting semi-harassed by the cops, the girls start to suspect each other. But neither of them really knows what’s going on. This first issue (of a four-issue arc) poses an awful lot of questions. And I happen to think it’s a really good way to start. It teases me as a reader, and makes me want to stick around to find the answers. And it helps that it seems to be a fun little murder mystery, too. Also, I’m not usually an art guy, but this book is really well drawn; the detail is just amazing. There’s a bit of an art to pulling off a good first issue. (It’s not just about how many variant covers we can put on them J ) It looks like the Grants have gotten it right with this one. Definitely worth a read. 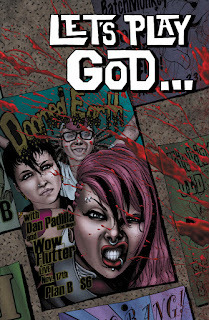 LET’S PLAY GOD… #1 is available now at your FLCS or by order from idwpublishing.com.